A similar tale to “Homeward Bound,” a remake of a 1963 film titled “Incredible Journey”, which is the story of two dogs and a cat who undertake an incredible journey to reunite with their owners, CSS Homeward Bound recently handled the relocation of a Havenese cross (K9) and a male cat from Kathmandu to Senegal. 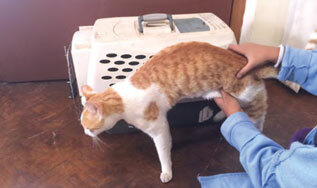 Weighing 5 and 6kg’s, the pets flew in from Nepal with a stopover in Dubai for two days. Given the sensitive nature of the cargo, CSS Homeward Bound was able to expedite permissions with the Ministry of Environment and DNATA as it requires an inter-terminal transit. 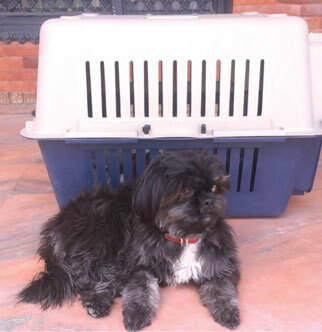 CSS Homeward Bound also arranged for the pets to be taken care of by the Dubai Kennels and cattery, as direct flights to Dakar are only every two days from Dubai. CSS Homeward Bound ensured that all formalities were expedited and taken care of given the sensitive nature of the cargo before they arrived at their final destination on the 27th of June. “Here at CSS Homeward Bound we treat your personal belongings as one of our own, and this is truly evidence of the care and consideration that the team took especially for this transfer. This has always been our differentiating factor from other relocation companies in the region and continues to be the cornerstone of our success and loyalty with our customers,” added Suku Sudhakaran, General Manger, CSS Homeward Bound. CSS Homeward Bound would like to thank the following organizations for their whole hearted support and cooperation in ensuring that the pets were reunited with their owners in Senegal; Qatar Airways, Emirates Sky Cargo, DNATA, Ministry of Environment and Orient International Relocations.